I have disapproved several Post Constitution and By-Laws because they indicate that the Post Executive Board/Committee has the final say in Post operations. This just is not true! 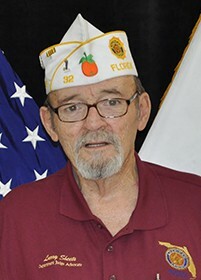 The Department Constitution Article X, section 18, Each Post shall use and follow the American Legion Post Officer Guide in conducting its meetings. On page 47 of the American Legion Post Officers Guide it lists the order of business for Post meetings. Item d. on that list is for committee reports. This item allows Post committees to report and make their suggestions, and these suggestions are either approved of rejected by the membership. The minutes of the Executive Committee or Executive Board would be read and either approved or rejected by the membership. If the membership or a member would like to approve the minutes with the exception of a specific item or items, the motion would be: ” I move that the minutes of the Executive Board be approved with the exception of item #?. The minutes can be approved and the item that was an exception will be debated separately. The important thing to remember is the Post belongs to all of its members, not just the Executive Board/Committee.